I would like to introduce my vegetarian take of the iconic comfort food Lasagna. Although this dish has developed countless versions all over the world, I remain a traditionalist. For me, Lasagna centres on the wonderful combination of aromatic tomato sauce with velvety béchamel sauce and Italian pasta, topped with a crust of melted cheese. Accordingly, my vegetarian version features tomato sauce layered with mushrooms and a sinful amount of béchamel sauce. My guys prefer the traditional way of making Lasagna with a ragout sauce. 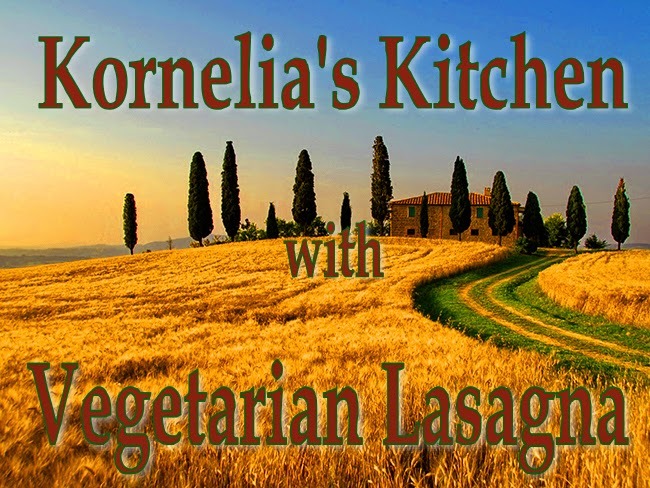 However, recently I hosted a dinner for vegetarians with Lasagna as the main dish and I thought it would be nice to introduce my recipe here. To make a proper béchamel, you need a rather large amount of butter. I believe Lasagne is not a dish where you can skip the calories. I would not advise substituting the béchamel with anything else. Au contraire, I suggest to splash a bit more cheese in between the layers. Lasagna needs to ooze buttery deliciousness. If you want to loose weight, don’t eat Lasagna. I would like to warn you about one thing though. Don’t fill your baking dish to the brim. Remember, that the pasta sheets inflate quite a bit. If you don’t leave enough space, the Lasagna goes overboard and spills into your oven. Because Lasagna takes quite a bit of effort, I always fill my biggest baking dish, which holds eight servings. If you want, you can prepare the Lasagna one day in advance. Bake it until almost done, keep it in your fridge and then warm it up for your guests. This makes Lasagna an ideal recipe for stress free dinner parties. Wishing you happy cooking, always! I always start with making the tomato sauce. If you want to take a shortcut, you could substitute the homemade tomato sauce with a ready made one. However, making Lasagna is a lot of work anyway so you might as well make everything from scratch. For sure it is healthier this way. 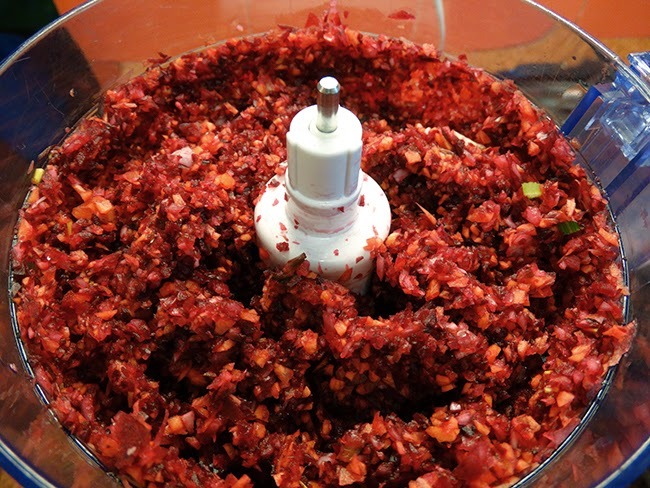 Clean the onions, garlic, carrots, beetroot and the celery and chop everything into small pieces. I use my blender for this job. Place the vegetables into a pressure cooker, add the oil, the tomato puree or the tinned tomatoes and half a glass of water, close the lid and boil for half an hour after the first whistle. You can also use a normal pot and boil the tomato sauce until all the vegetables are really soft. Season the sauce with salt and pepper and stir in the oregano. Dried oregano should never cook for a long time, that’s why it is better to add it after boiling the vegetables. If you want, you can take the taste of the tomato sauce into different directions with adding different herbs. You could for example use thyme or basil. Remember never to chop basil finely because the aromatic oils will evaporate. 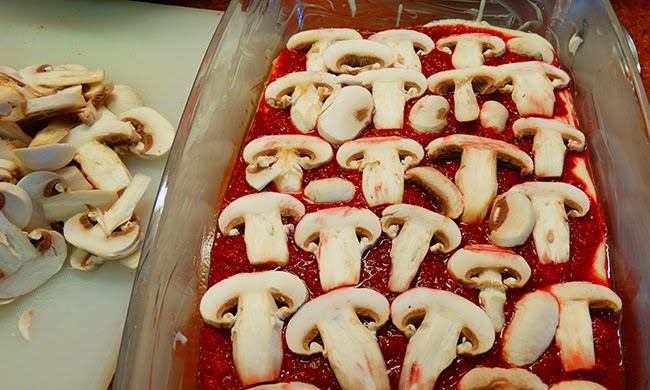 While the tomato sauce is cooking, you can clean the mushrooms. I always peel them and give them a quick rinse with water. Never leave mushrooms in a bowl of water because they will soak up the liquid and not taste well. Grate the cheese and keep it aside. Now it is time for the béchamel sauce. 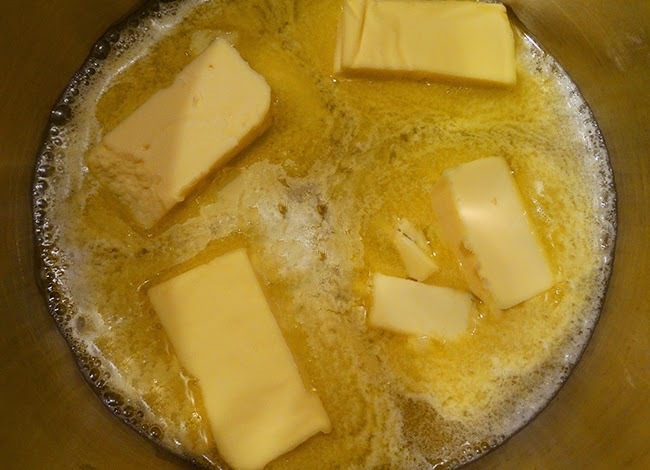 Melt the butter in a pot over low heat. You don’t want to burn the butter. Stir in the flower and mix very well. There should be no lumps. Add a dash of milk to it. At this moment is it essential to keep stirring continuously. 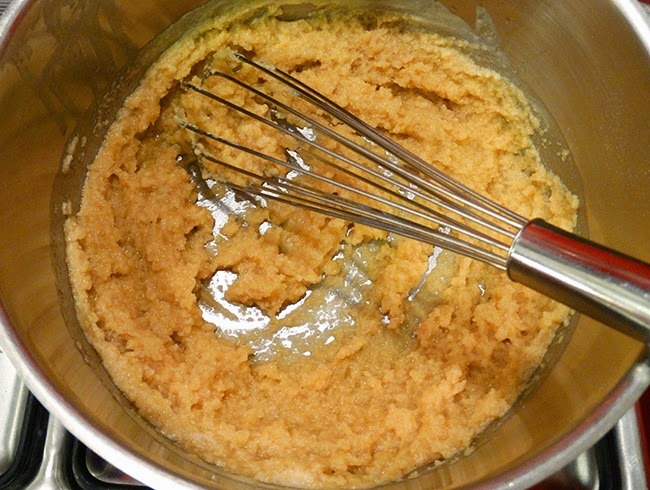 When the mild hits the butter-flour-mixture, it seizes up and turns it into a rather thick affair. Keep stirring until you have a homogenous mix before adding more milk. 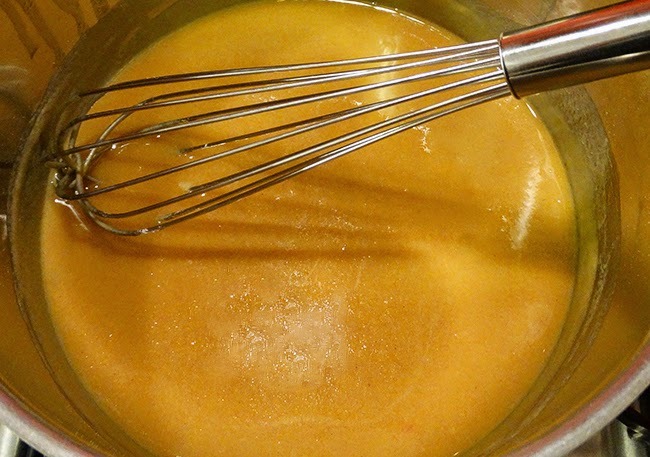 Always add only a cup or so and stir until the sauce has absorbed the liquid well. Keep adding until you have incorporated the full litre of milk. Now you need a bit of patience until the sauce boils. Keep stirring occasionally. When the sauce finally bubbles, switch it off and season with salt. Some people like nutmeg in their béchamel; I prefer it without. 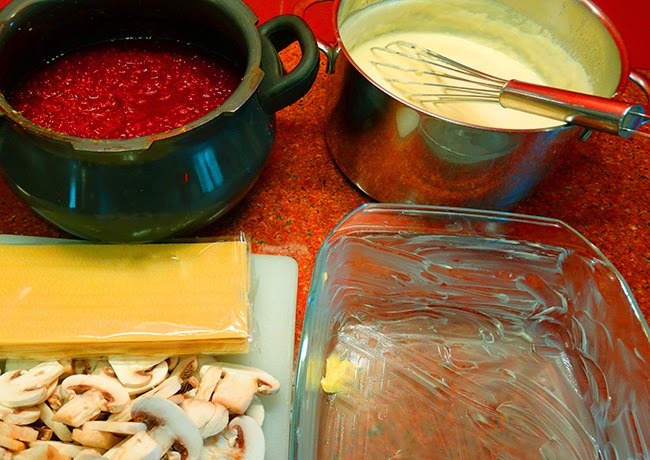 Now it is time to assemble your Lasagna. Slice the mushrooms and butter the baking dish generously. Keep everything in easy reach and use some big spoons or ladles. Start with a layer of pasta sheets. Spread béchamel over it. Then follow with tomato sauce, sliced mushrooms and some grated mozzarella. Layer the ingredients into your baking dish. There might be some sauce left over (or maybe not). It is difficult to make exactly the amount needed. Remember not to fill the baking dish until the brim. 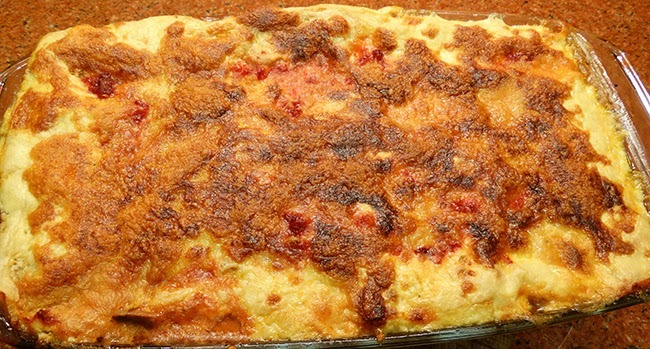 Finish with béchamel, a bit of tomato sauce and a lot of grated mozzarella. Bake the Lasagna in the oven at 190 degrees Celsius for 45 minutes. The cheese should form a golden brown, crunchy crust. If you have a gas oven like me, you might want to give it a few minutes under the grill to crisp up the cheese crust. Enjoy!